Once upon a time, a small group of worshippers came together under an old oak tree in an arroyo. Out of that gathering eventually blossomed the church now known as Calvary Presbyterian Church, South Pasadena, California. The little congregation struggled to survive for 10 years - 1887 to 1897 but simply couldnt support the church financially, and finally had to disband. Five years later, however, life was breathed back into the church, and this time it took. Nearly 110 years have past since that little congregation was re-organized, and the church it became is still strong. This first volume of the churchs history aims to capture the lost or hidden years, and to describe the life of the church up to 1925, the year the congregation moved into the beautiful three-story gothic building it now occupies. 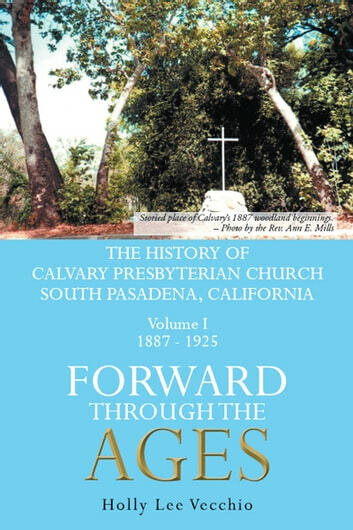 This is the story of Calvarys earliest pastors and the people who enriched the church, all in the context of the dawning community of South Pasadena, California.